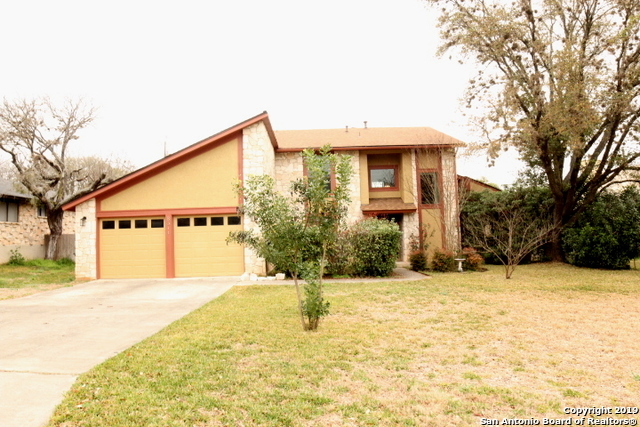 All BRAUN STATION EAST homes currently listed for sale in San Antonio as of 04/20/2019 are shown below. You can change the search criteria at any time by pressing the 'Change Search' button below. "Beautifully maintained two story home on a quiet cul-de-sac in the conveniently located neighborhood of Braun Station. Walk into to be greeted by an open living with high ceilings. Large living & dining room extended off of kitchen complete with beautiful wood tile. Kitchen has been completely renovated with granite counters, stainless steel appliances, and white cabinetry. Small workshop attached to home great for any hobby! Enjoy the larger quarter of an acre yard with mature trees!" "2 story home located in the popular Braun Station neighborhood! House has open floor plan with upgraded counter tops and kitchen cabinets, wood-like floors, and stainless steel appliances. In ground pool and spa in the backyard - perfect for those hot Texas summers! Schedule your showing today!"